Getting “rubbed” by the pickpockets is common and expected in the city of “amore” where looking up at an artist masterpiece means your wallet just got lifted. In fact, the Vatican tourist guides recently threatened to strike due to the inundation of pickpockets. 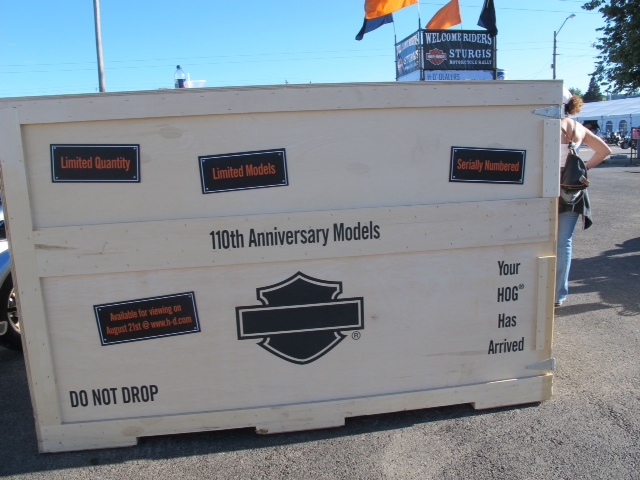 But, I’m talking about the Harley-Davidson 110th Anniversary Celebration in Rome. Unlike the U.S. celebration – where ticket prices range from $95 to over $500 for the unobtanium “Chrome” package – the entry fee in Rome is FREE of charge! Free is a very good price and unexpected. Information is starting to flow in about Harley-Davidson enthusiasts from across Europe who are flocking to the heart of Rome this week. The celebration is occupying multiple sites in Central Rome, Vatican City and the Port of Ostia. The entire length of Via Della Conciliazione, leading from St Peter’s Basilica to the River Tiber has been turned into a giant Harley-Davidson motorcycle park. Yesterday’s start of the four-day event includes celebrations from the touristic Port of Ostia to a special motorcycle blessing inside St. Peter’s Square, Vatican City. 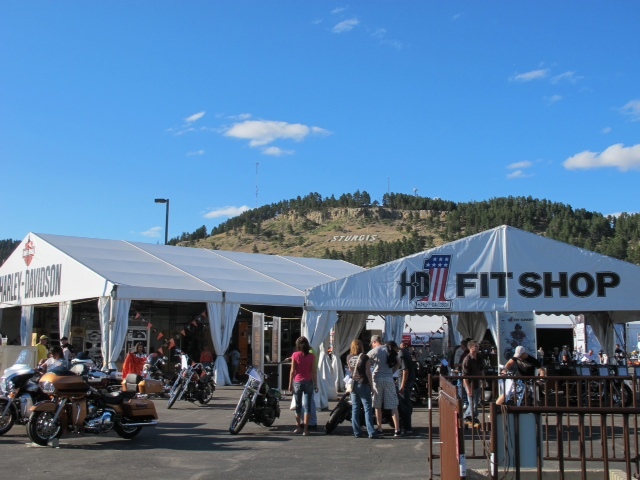 Event photos are starting to appear on the web. 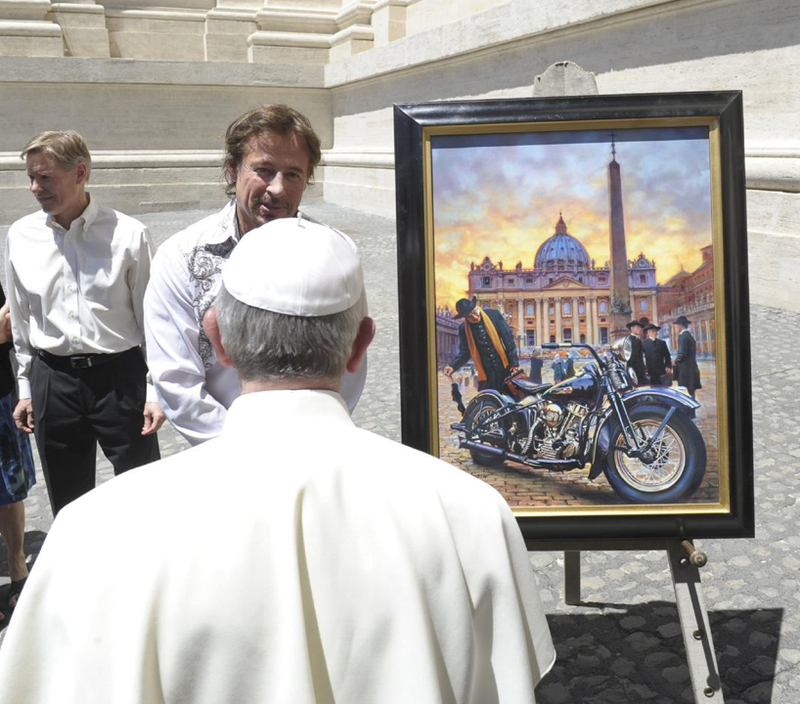 One is of David Uhl who painted the “Chance Encounter” canvas which depicts a 1948 Harley-Davidson FL Panhead bike parked in the San Pietro square, with a priest admiring it. David Uhl presented it to Pope Francis during the weekly audience in Saint Peter’s Square at the Vatican on June 12, 2013. According to a number of reports, the “Chance Encounter” will be available in postcard format, printed in a limited run of copies (in various sizes) and for collectors, three hand-signed and numbered canvas Fine Art sizes. 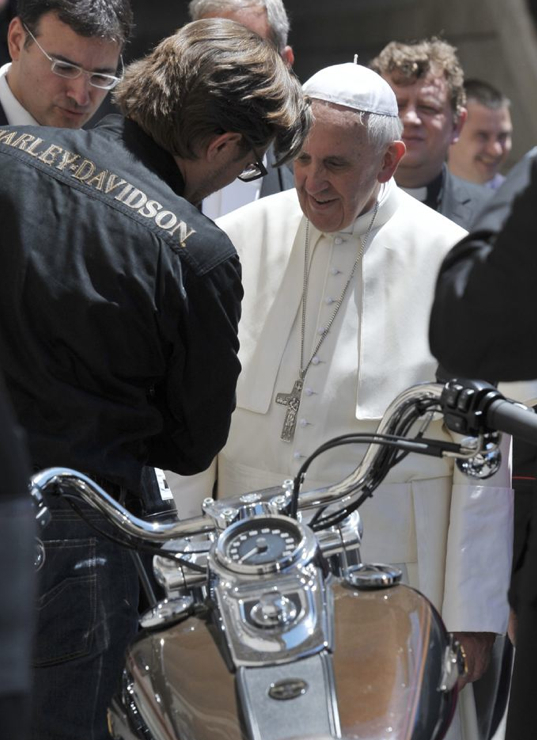 In addition, Harley Davidson has given Pope Francis two of its current motorcycles to mark the brand’s 110th anniversary. On Sunday June 16th, hundreds will be allowed to park along the road leading to St Peter’s Square while the pontiff recites the Angelus prayer. Between 1-2 thousand motorcyclists are expected to fill St Peter’s Square for the Pope’s blessing. Just beware of Rome’s tiny thieves. Photos taken at Saint Peter’s Square at the Vatican June 12, 2013 and courtesy of REUTERS/Osservatore Romano.